College Events Grab Your Broomsticks, It’s Quidditch Season! Quidditch, the much-anticipated sports event of ‘RETAKE’, the annual media festival of L.S. Raheja College took place on Friday, 11th January, which went about with much gusto. It was an all-day event in which 10 teams from different colleges from all over Mumbai participated. 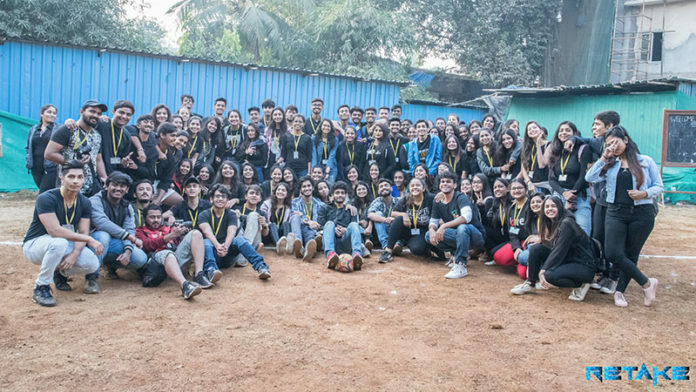 Everyone who loves Harry Potter is familiar with the game of Quidditch and L. S. Raheja’s team Retake gave a chance to all non-magical fans to catch a snitch and dodge a bludger. Quidditch, the magical sport that was designed for wizards who could fly on broomsticks had to be scaled down in a way that regular people could play. So, team Retake modified the game, where players ran with broomsticks between their legs. Points were earned by players called “chasers” throwing “quaffles” (balls) through one of three of the opposing team’s hoops. One of the most important rules is that teammates must “stay on their broomsticks” in order to play. There also is no real snitch as there is in the films. In real life, the snitch is a human being. The seeker who gets the snitch wins. “Overall the goal of this event is to have a friendly, healthy sports event based off of a book series that we love.” said the coordinator. The BMM department of L. S. Raheja College of Arts and Commerce is hosting Their media festival ‘Retake’ on 18th and 19th January 2019. Their theme for this year is ‘Stream Realism’ which revolves around the various television series. The students and faculty at L.S Raheja are excited to host fellow colleges and give them a memorable time and take ‘Retake’ on a new high this year.